Update March 23, 2018: MoviePass announced that for a limited time, it's offering its movie ticket-buying service for $6.95 per month, with a $6.55 one-time processing fee. The deal is only available to new subscribers, and represents a $1-per-month discount on the normal $7.95 price when the annual fee is paid up front. If you're like most of MoviePass's two-million-plus subscribers, you probably did some quick number crunching upon seeing the service's annual subscription offer: $7.95 per month for up to one theater screening a day (or $9.95 per month for a monthly subscription) is a steal even if you only see one movie each month. Then you probably wondered: How the hell does MoviePass expect to make money? The answer comes in the form of a buzzy phrase that's catnip to corporate executives, venture capitalists, and Silicon Valley dreamers: Big Data. For those unfamiliar with MoviePass, the app has been both a boon and a source of confusion and frustration to film fans. On one hand, $7.95 is less than a single movie ticket in most cases. On the other, MoviePass's customer service is notoriously unresponsive, users report frequent glitches with the app, and the company sports an F rating on the Better Business Bureau website. Perhaps the biggest question facing the layperson user, however, is whether Moviepass, which clearly doesn't care about generating revenue off each subscriber, will last long enough for you to take advantage of the ridiculously low cost. The answer seems to be yes... but not for the reasons you think. In an eye-opening interview with Screen Junkies, MoviePass CEO Mitch Lowe notes that turning a net profit doesn't matter in the business world in the same way it matters in personal life. He points out that Amazon lost money until very recently, saying, "We're just losing tens of millions of dollars every month while we build this business, and eventually we get to profitability." If that reminds you of the famous South Park meme, you're not far off. 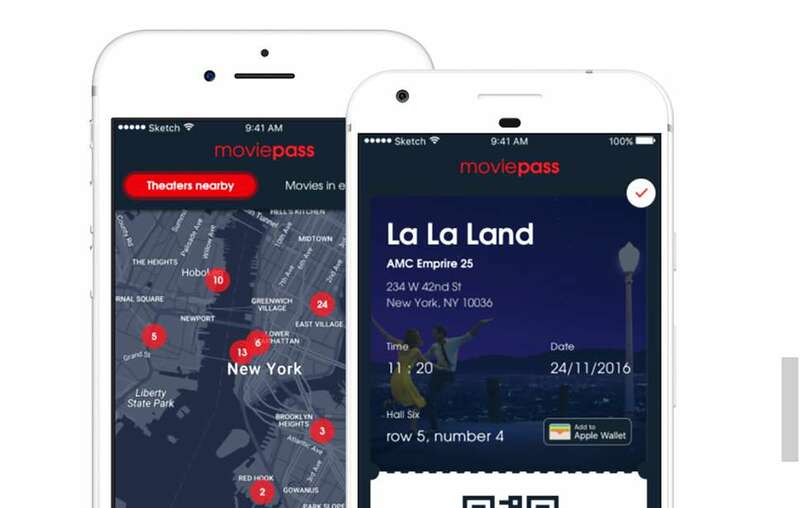 The key to MoviePass's plans lies in your phone, where the app's terms and conditions give the company access to your location. In a keynote address at the Entertainment Finance Forum -- called "Data is the New Oil: How Will MoviePass Monetize It?" -- Lowe said, "We know all about you… We watch how you drive from home to the movies. We watch where you go afterwards." What does MoviePass plan to do with this data, which is apparently the New Oil? Build features like a "night at the movies," which would direct people to restaurants and other activities nearby; which is to say, super-targeted advertising. If MoviePass knows when and where you're going to be, it can sell that information to restaurants or other businesses looking to juice sales. On a larger scale, however, this information can also be sold to studios trying to promote movies that might have underperformed otherwise. Think of Netflix's recommendations, which are based on your viewing history. If studios knew which kinds of movies you saw in theaters, where you saw them, what times you preferred, they could partner with MoviePass to advertise only to those people most likely to buy tickets to their movies. It's not hard to see why that would be far more valuable than, say, spending money on a national TV slot to air a trailer that only a handful of viewers might see, and only a small portion of whom find interesting enough to buy a ticket to see it in theaters. It's easy to mock MoviePass for its apparently naive pricing scheme, but Lowe is a veteran of Netflix and Redbox, and points out that people said the same thing about Netflix when it launched as a DVD mailing company. The fact that Netflix charged a flat rate and eliminated late fees encouraged subscribers to experiment more and rent movies they might overlook at the local Blockbuster (which built its profitability model on late fees). You can envision the same thing happening with MoviePass: Why not see the foreign film advertised on your app? You already went to one movie this month, so you're playing with house money! This, more than the geolocation data that would help create a "night at the movies" program, is where MoviePass can likely make the most money. Lowe says that subscribers tend to see more of the smaller films -- movies that make less than $50 million dollars, and that studios tend to have trouble marketing to mass audiences. Once studios start shifting more of their marketing budgets for films in that range to MoviePass (or whatever other similar apps spring up around it), the $7.95 monthly cost seems less crazy, especially since Lowe claims that the company expects to earn about $6 per subscriber on marketing and advertising. Lowe told Screen Junkies that data mining is a big part of MoviePass's business because it will "help the studios know who wants to watch a particular film… the worst part about making movies is that it's very inefficient to find that customer who's gonna love it, and get them to the theater." If you're marketing any given mid-range movie, that's information well worth whatever you have to pay to get it. There's an implicit, additional cost to the 10 bucks you shell out each month: access to your location and viewing habits. Add to that the fact that most people don't actually go to the movies more than once a month, and MoviePass's model doesn't seem as crazy, especially for theaters themselves; when the result is more foot traffic to the theaters, it makes Lowe's assertion that the most vocal theater chain opponent, AMC, will "come around" sound like a smart bet. Over the course of a month, Lowe says that MoviePass subscribers spent $11 million on AMC concessions alone, so when the alternative is empty seats and fewer add-on sales, MoviePass's demands to receive bulk orders of tickets at reduced prices (another aspect of its long-term business sustainability model) starts becoming more appealing to chain theaters. While all of this may combine to make MoviePass's pricing more comprehensible from a business perspective, Silicon Valley disruption math is at play when you look at the bigger picture. There's an implicit, additional cost to the 10 bucks you shell out each month: access to your location and viewing habits. You pay to give away your personal location in exchange for cheap tickets, and you don't really know all the ways that data will be used. Consider the fact that the majority owner of MoviePass is Helios & Matheson, a self-described "Big Data company that helps global enterprises make informed decisions by providing insights into social phenomena." Those enterprises are in business sectors that touch virtually every part of your life, including health care, finance, education, and retail. It's no surprise, in that light, that Lowe occasionally compares MoviePass to insurance; the high-volume users lose money for the company, but everyone else helps them make it back. What's less clear, however, is how MoviePass's data collection fits into Helios & Matheson's product offerings, which includes a real-time crime mapper called RedZone (especially disconcerting when one of the buzz-phrases on the company's site is "predictive analytics practice"). It's creepy, sure, but obtaining at least some of your personal information is what virtually every other app requires in its terms and conditions. If you have a smartphone, you can be tracked, and most consumers are aware -- whether they actively think about it or not -- that they're trading less privacy for the convenience of a do-everything device on them at all times. MoviePass may know when and where you're going to see Black Panther, what you eat afterward, and when you go home, but betting on a subscriber revolt would likely make you look foolish, since data collection hasn't exactly slowed down the likes of Google or Facebook. Few will acknowledge it, but the value judgment we've collectively made is that invasion of privacy is no longer a detriment, but an attractive feature of contemporary life. Anthony Schneck is an entertainment editor at Thrillist. Follow him on Twitter @AnthonySchneck.